We don’t know it, but almost all of us use LiPo batteries or what is called lithium polymer batteries. We use them in our mobile phones, in our laptops, and digital cameras and in many more devices. These batteries are so popular because these bring about more energy generation with regards to their weight. But what happens when they die? Do we simply throw them out? Or is there an environmentally-friendly way to recycle them? In this article, we will explore how to dispose of lithium battery properly. Trusted stores sell us batteries that are safe to use. You can see it from the packaging of the battery itself that there are safety guidelines on how to use them and how they should be stored so that you will remain safe while using them. It is important to note that the batteries should be kept dry at all times. When storing them, you can use either plastic bags or plastic boxes to make sure that they remain dry. Many of the batteries in stores today are also of great quality. They have a long lifespan and can work well even at extreme temperatures. However, exposure to such conditions can affect the performance of the batteries in the long run. Lithium batteries are great to use because they are lightweight and are very suitable for the devices we have today. Traveling with our gadgets is easier because the battery is also very portable. Not only are lithium batteries used for mobile phones and laptops, but they can also be used for laser pointers and lamps and other electronic devices. After using the batteries, the important question we have now is how to recycle them. The question arises because these batteries are flammable if mishandled. Not only can these catch fire but also emit toxic flames, and can result in severe accidents. NO technology is perfect, and neither are these batteries. The first thing to ensure is that before you discard these batteries, they should be thoroughly discharged. If it is not discharged, then you may want to use what is called a discharging cycle at a low pace, and you will know when the discharge is complete when the leads show zero volts. Once discharged then you should soak the battery in salt water. This saltwater should contain 60 parts water and 1 part salt. Allow the battery to be absorbed for about three days. Pertinent to note here that damaged batteries should never be soaked. For all regular batteries which were soaked, you can then send them off to the hazardous waste collection center. The battery would be incinerated there. One should, under no circumstances, try and incinerate the battery on your own. That is because individuals do not have the facility needed to handle the waste. There are certified waste handlers appointed according to the disposal regulations. Consult them in case of doubts and in the meantime, do not mishandle the battery. The disposal hazards include the set up to catch fire or toxic fumes being released. The main cause of this disposal hazard is that these LiPo batteries contain Fluorine and that it combines with hydrogen and produces hydrofluoric acid which is highly flammable, is noxious to smell, dangerous to touch and overall very harmful to health. One more manner in which you could avoid the disposal hazards is by wearing gloves while handling old batteries. These disposal regulations will affect all ventures that deal with batteries. All battery-related waste should be separated from domestic waste, and there will be separate dustbins for battery waste. The point is that this waste should not get collected in landfills. This ensures that the waste material such as cadmium and mercury does not interact with the environment. The disposal regulations are planned in a way that while at present there are 1000-2000 metric tons of lithium-ion batteries which are being recycled and ten years hence there will be a disposal of 10,000 metric tons every year. You might have asked yourself this question ” how do I find a lithium battery disposal near me”? Or “how do I rejuvenate lithium battery so that I can save the environment?”. The answer is it’s just a matter of time before you locate a center which is near you and one which engages in recycling. A quick search on the Internet can point you in the right direction. Not only you are doing your bit for the environment, but also it helps as you can trade your old battery and get a discount when you get a new one. Usually, those who are in the business of selling batteries will also buy your old batteries and recycle them. If you cannot recycle the batteries, then you should find agencies that will collect your battery waste in a way that no disposal hazard is caused. These agencies would help you safely discard toxic waste. It may not be an easy task to find a recycling center which can help you how to deal with lithium battery properly. But if you really want to contribute to the conservation of the environment, a small step of proper disposal can go a long way. This is how to dispose of lithium battery the right way. 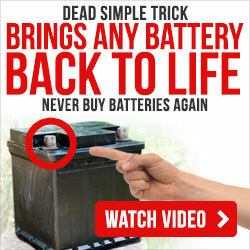 Hopefully, you will keep this in mind whenever you have dead batteries lying around that you want to get rid of. To know more about how you can recycle old batteries, send us an email, and we’ll share with you other useful information on how it can be done easily. If you are interested in knowing how to recondition battery besides disposing of any battery, then you can go back to howtoreconditionbatteries.org to learn about it!